Is it secure to implement a Haiku on my web app? Are you worried about the script loading from an external source? The code produced with Haiku is an NPM module, so it can be loaded into any JS-based application and bootstrapped using Haiku Core, which is 100% open source: https://github.com/HaikuTeam/core. There’s no need to load the contents from an external source. 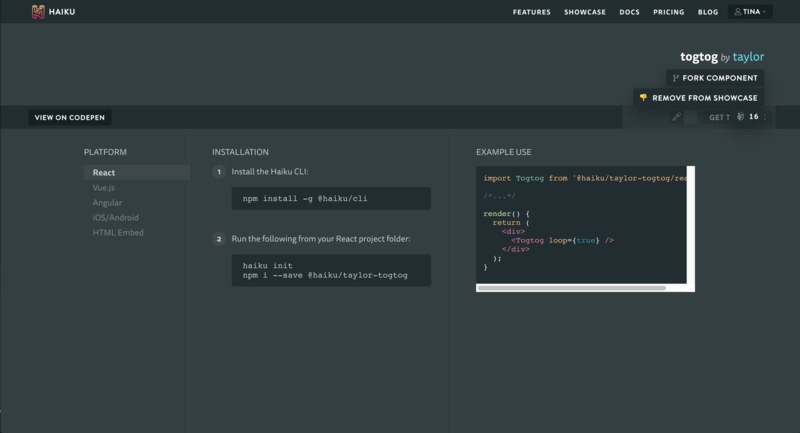 Instructions for using the components you build in Haiku as NPM modules are baked into the share page. And if you want to mirror the components you create on private version control, there’s nothing preventing that—the whole project is backed by a Git repository which can be pushed to any remote.